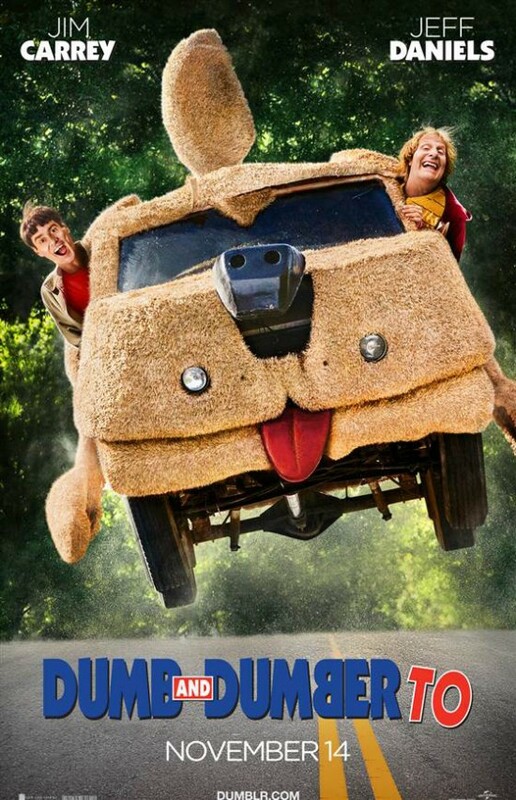 Enjoy This New Trailer and Poster for ‘Dumb and Dumber To’! New Line Cinema has just released a new trailer and poster for ‘Dumb and Dumber To‘, the sequel to the iconic 1994 comedy that starred Jim Carrey and Jeff Daniels. This project has been in the works for several years, and has had an on-again-off-again run in Hollywood. But, things are in full motion now and yes, we will have a ‘Dumb and Dumber‘ sequel this year. Film Review: ‘Dumb and Dumber To’!! First Official Image of ‘Dumb and Dumber To’!! Your First Look At Harry and Lloyd in ‘Dumb and Dumber To’!!! Jim Carrey Exits ‘Dumb and Dumber’ Sequel!!! This entry was posted on Tuesday, June 10th, 2014 at 11:39 pm	and is filed under Film, News. You can follow any responses to this entry through the RSS 2.0 feed. You can skip to the end and leave a response. Pinging is currently not allowed. « James Cameron’s ‘Avatar’ Sequels Will Have Sigourney Weaver Returning! !